If you’re interested in, and want to know more about, life in Berlin during the Soviet occupation, then you should visit the DDR Museum in Berlin. You can see exhibits and arrangements showing what Berlin looked like during the occupation. Stasi officers, bugged phones and the Trabant car are just some of the things that you’ll come across at the DRR Museum. The Berlin Wall was almost totally destroyed after the Soviet occupation of Berlin ended, but today there’s a part of the wall that has been preserved and rebuilt so that it won’t be forgotten. 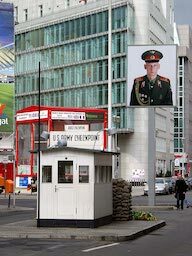 This part is situated on the southern border of Wedding and Mitte, and you can also find the classic border control between East and West: Checkpoint Charlie. This is an extremely popular place to visit for tourists, and there’s also a tourist centre where you can learn more about the wall and its history. For those who want to get a better overview and look around the area, you can take a stroll along the Berlin Wall. The walking path is adjacent to the neighborhood area Freidrichshain-Kreuzberg. In 1969, amidst the split between the East and the West, the television tower Berliner Fernsehturm stood straight in East Berlin. The tower was planned to be a monument of the GDR and the architecture was strongly inspired by the Soviet Union’s great interest in space during that era. Fernsehturm is a total of 368 metres high and is Germany’s tallest building. The building is used primarily for broadcasting television and sending mobile signals today, but it’s also a popular viewing spot for tourists. There’s also the Telecafé for those who want to grab something to eat or drink. 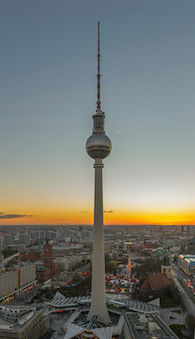 If you want to get an amazing view and be able to overlook the entire city of Berlin, you should definitely visit this special TV tower. Tickets can be purchased on site but can also be booked online. 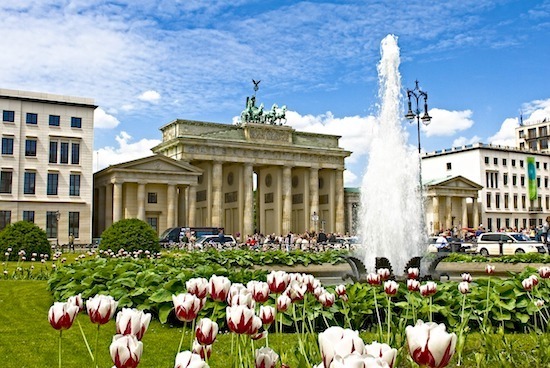 Berlin is a city filled with preserved underground passages and rooms. Underneath the city there are bunkers from World War II, escape tunnels from the time when the city was divided into East and West, remains from the Cold War, underground factories and much more. For those who want to go down into the secrets of Berlin, there are organized guided tours where you can take advantage of all the underground historic remains. More information about these tours are available online or at various tourist information centres in Berlin. Berlin has thousands of surrounding lakes; many of them are very beautiful and well worth a visit. There are different activities to do, depending on the season, around and on the lakes. If it’s winter or autumn, a relaxing stroll might be an enjoyable activity. However, if it’s spring or summer, there are good opportunities to swim or rent a canoe or a kayak to get around on the water. No matter what you want to get up to, it can be very relaxing to get away from the central parts of Berlin to get some fresh air and look around the German countryside. 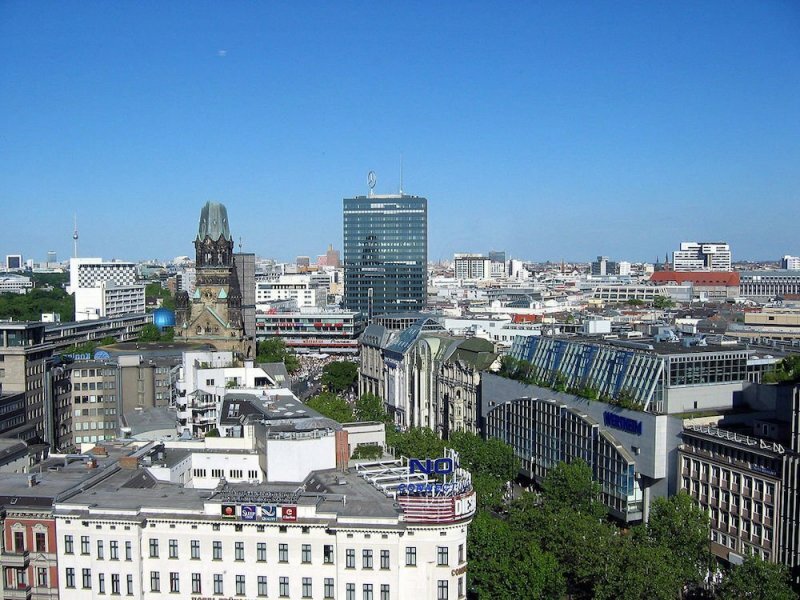 Kurfürstendamm, or Ku’damm as Berlin residents call it, is Berlin’s most famous shopping street and can be compared to Paris’ Champs-Élysées. On the Ku’damm you’ll find a ton of malls and shops with everything from clothing and fashion to electronics, but there are also cafés, restaurants and hotels. Kurfürstendamm is 3.5 km long in total. Several halls were built in the late 1800s in Berlin to overcome the hygiene problems that arose at the usual outdoor markets. There were thirteen different market halls in total, but only two of them remain today and one of these is the Markthalle Neun (nine), which was built in 1891. At Markthalle Neun, visitors have the opportunity to eat locally produced food from the region surrounding Berlin. If you are in Berlin on a Thursday, don’t miss the "Street Food Thursday" when there is extra cooked food to try at Markthalle Nine. If you visit Tempelhofer Freiheit Park, you’ll have a really cool and different experience. Tempelhofer Freiheit Park is the former airport Tempelhof Airport, which has been converted into a large activity park where you can try out different sports. There are several kilometres of the old runway where you can go jogging, skating, cycling, kiteboarding, walking and much more. It might be worth knowing that the airport was built in 1930 and was one of the world’s most advanced airports back then. During the Soviet blockade in 1949, the airport was used by the Americans and played an important role in the protection of West Berlin. Somewhere completely free to visit in Berlin is Berlin’s Reichstag building. Reichstag is the German parliament and this is where the House of Assembly gather to make important decisions concerning Germany. The building was constructed in 1894 and has over the years been a part of, among other things, the Second World War and the division of Germany during the Soviet occupation. Visitors can climb up on the roof of the Reichstag to get a beautiful view of Berlin. It’s also possible to go up in the newly built glass cupola to overlook Berlin or to look down into the plenary chamber. If you are interested in art, there are several paintings and works by current artists on display in the building. Altes Museum is the oldest museum at Museumsinsel and was built in the early 1800s by Frederick William III of Prussia. The museum has two floors and there’s a large garden outside. The selection on display is mainly Egyptian, Greek and Roman sculptures. Neues Museum was built in 1859, which is about sixty years after the Altes Museum was finished. Almost the entire museum was destroyed during the Second World War but has since been rebuilt and was opened again in 2009. Much of what you find at Neues Museum is similar to that of the Altes Museum and there are mainly Egyptian and prehistoric collections here. Alte Nationalgalerie opened its doors in 1876 and consisted only of art donated by the banker Joachim HW Wagener back then. Although this museum was destroyed during World War II and has undergone a number of restorations throughout the years, it’s now completely finished. At the museum you’ll find a large collection of paintings from the 1800s. Bode-Museum was completed in 1904 and was initially called Kaiser-Friedrich-Museum after Frederick III of Germany. In 1956, the name was changed to Bode-Museum to honour the first curator of the museum, Wilhelm von Bode. Wilhelm von Bode was known to like mixing different types of art in the exhibitions and for that reason the museum has a wide collection. These include various sculptures, Byzantine art, Gothic art, Renaissance art and Baroque art. There is also a collection of coins and medals.